For this variation I omitted the 1/4 cup juice and added 2 Tablespoons of chopped crystallized ginger (I like the kind that comes in squares and is soaked in cane sugar syrup. It’s usually sold at health food stores). 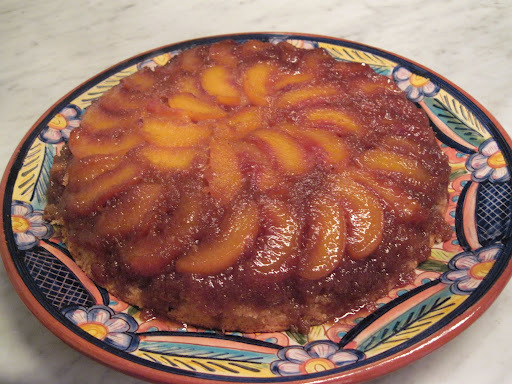 And of course I topped each slice with a generous dollop of unsweetened whip cream. 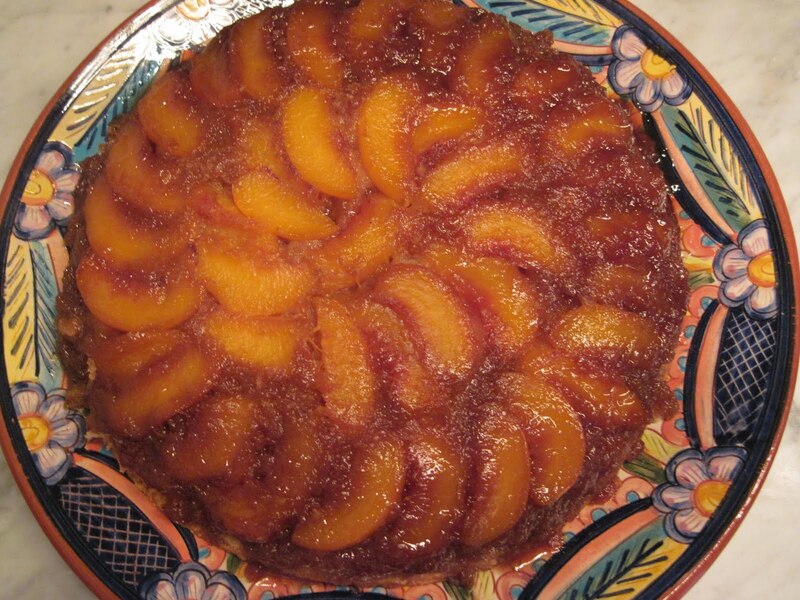 This entry was posted in Recipes and tagged Ginger, ginger peach, peach, upsidedown cake. Bookmark the permalink.